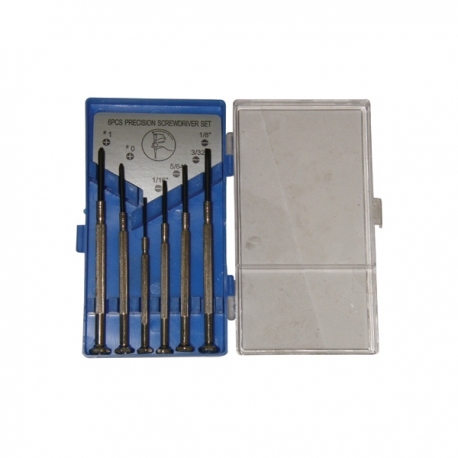 This set of 6 precision screwdrivers is useful for small screws, such as on VEX motor housings when switching internal gears and controller battery covers. 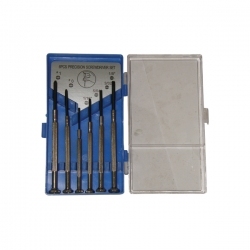 Includes 4 Slotted screwdrivers (1.4mm, 2.0mm, 2.4mm, 3.0mm) and 2 Philips screwdrivers (#0,#1). 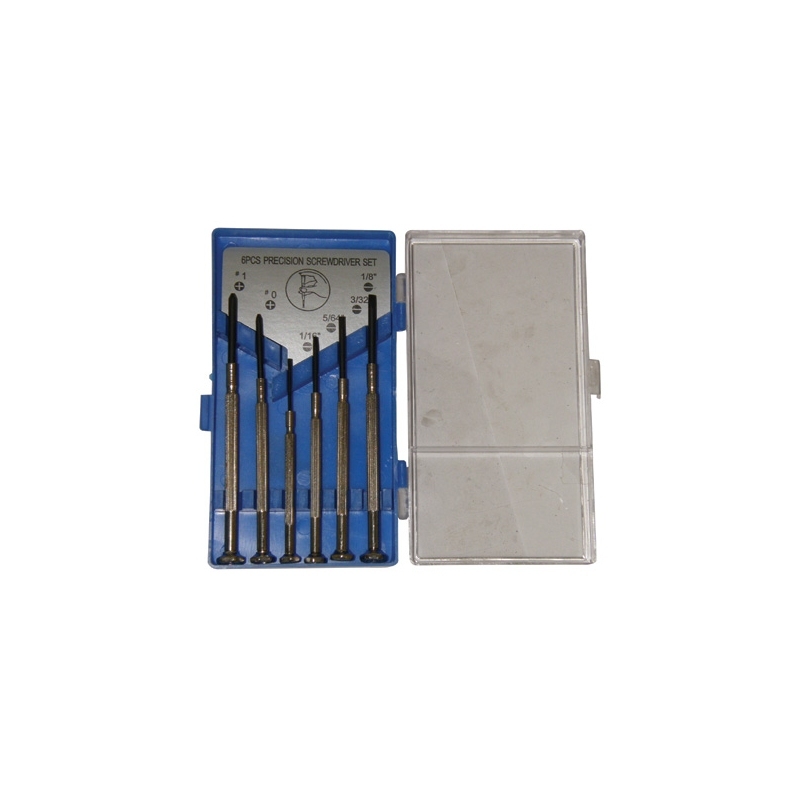 We're upfront about quality: This is a low cost tool set, and the lid of the case they come in may come open/detached. Consider storing the set in a safe position or adding a rubber band to keep it shut.